In the Arcera Trilogy, Sylvia Thorne discovers just what happens when the first war in a thousand years breaks out. But before that, she was just a Rider, spending her days traveling through the wilds between the Four Cities. Right before the first book Meadowcity, she gets stuck in Lightcity, waiting for a package to deliver. She isn’t stuck for long though, when a young girl decides to go on a haphazard mission into the wilds–and Sylvia feels compelled to follow. 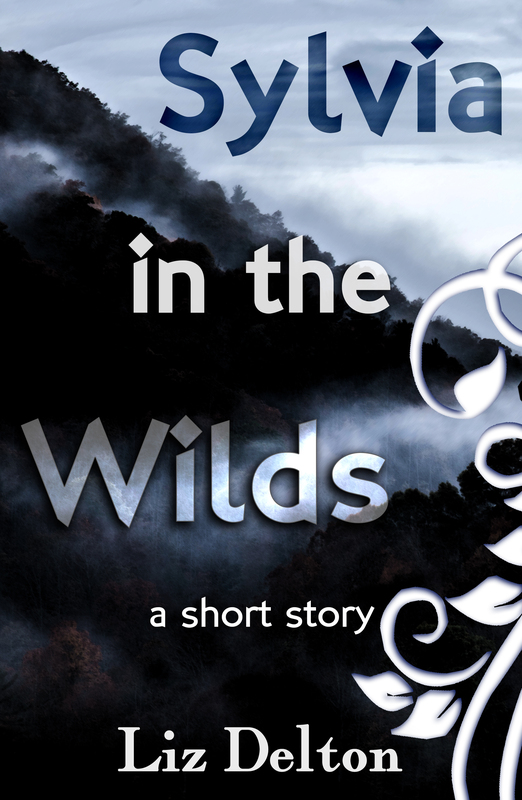 Which brings us to Sylvia In The Wilds–the short story prequel, which will be available as a free ebook in April 2017! 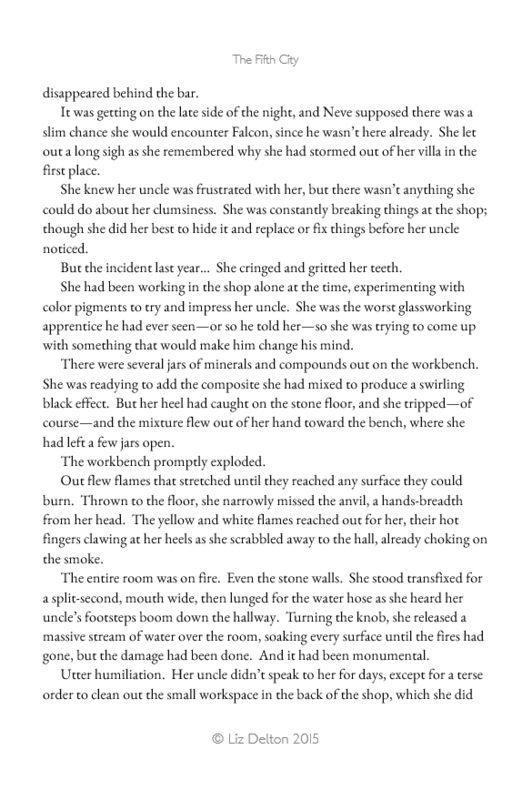 The story is currently with my beta readers, and I can’t wait to share it with you! I can’t believe it’s finally here! From the first notes, sketches and doodles, to a complete trilogy in four years. Has it really been that long? 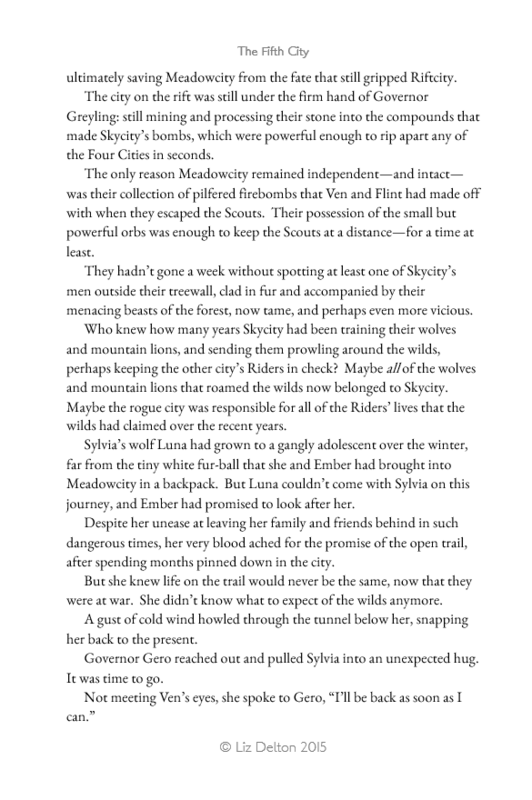 A Rift Between Cities concludes what Governor Sorin Greyling started in Meadowcity…the first war in a thousand years. 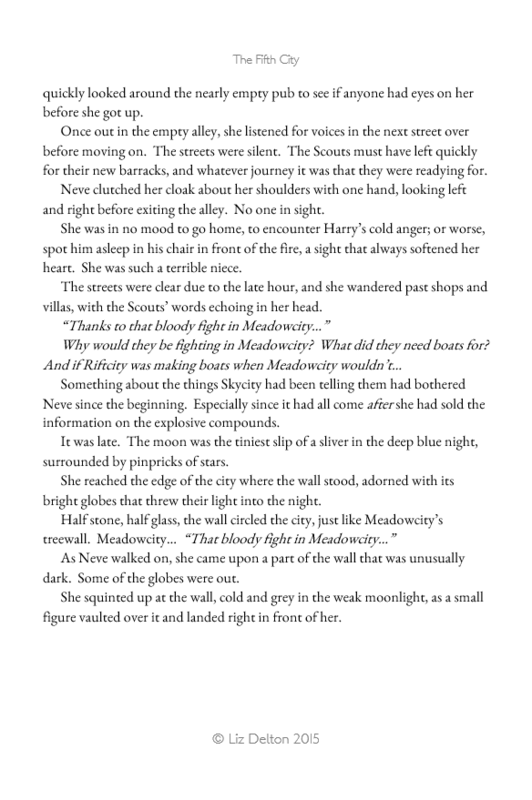 Now, it sounds poetic, “the first war in a thousand years”, but when I began writing Meadowcity, I really tried to think of how it would be like for people who have never experienced war in any form. The government would dither (as Gero’s council did), while the very few who are driven and courageous might actually try and stop it, knowing how precious their lives are. But things go wrong, as they often do. People make mistakes, even with the best intentions. People are selfish, and refuse to aid those they can help. But luckily, Sylvia Thorne isn’t people. 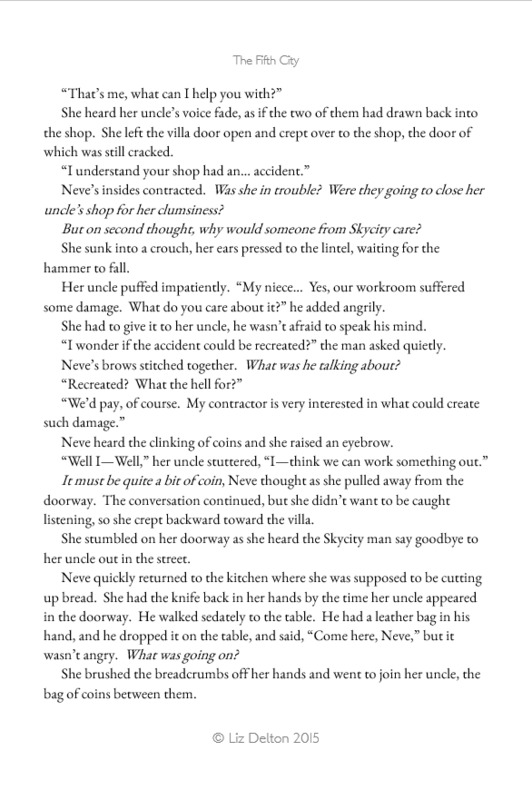 Sylvia won’t stop until she is stopped, until she can mend the rift between cities. Then again, people aren’t all bad. As the Arcera Trilogy comes to a close, you’ll see plenty of good to balance the bad, as we follow Sylvia, Atlan, Ven, Flint, Ember, Neve and Sorin on their final adventure! 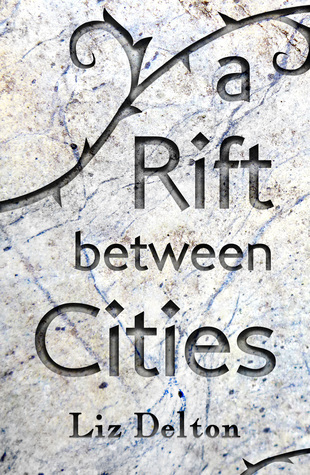 Until 12/9/16, you can enter to win a signed copy of A Rift Between Cities on Goodreads! Giveaway ends December 15, 2016. This book is fresh off the presses, and you won’t be disappointed with A.J. 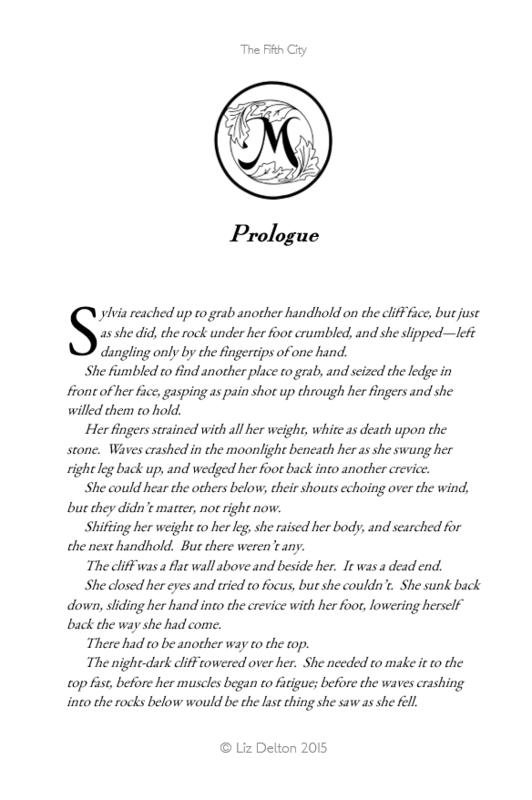 Flowers‘ first book in the Celestial Downfall series. I received a free copy in exchange for my honest opinion. I must say, I am looking forward to the rest of the series and finding out what becomes of Azrael! And until 12/18/16 you can enter to win your own free copy on Goodreads! Azrael is Windborn, and a hybrid, setting herself apart from all the other Windborn at Manor Saffron, where the not-quite-angels train for a life in the real world. Her hybrid status makes her able to see not only light (like all other Windborn), but dark. The unjust death of another hybrid in the Manor sparks Azrael into action–into making a deal with a demon. Smartly, she only asks it to change her fate–anything more specific and she’d be dancing too near the possibility of the demon overtaking the deal. Her fate changes immediately. The Manor is in need of a new Queen, and Azrael has been chosen by divine power. But Azrael quickly learns that being Queen is a life full of new secrets, new friends (real angels with agendas of their own) and new powers. Flowers paints a realistic picture of a world where angels remain an open secret (special chairs for wings, anyone? ), and I was impressed with the imaginative version of light and dark magic. The juxtaposition of angels with normal flaws just makes sense, too. Angels are always depicted as perfect beings, and as a human reader myself, the angel characters clicked perfectly. 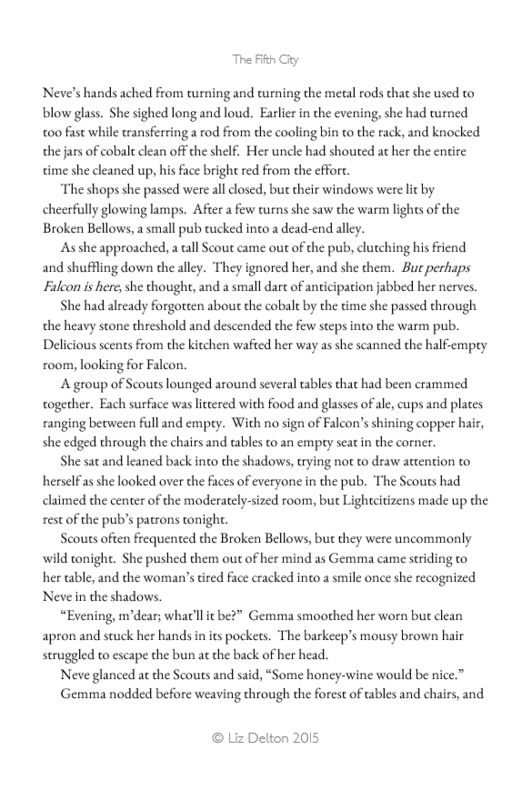 Not to mention the swoon-worthy descriptions of wings and other celestial details. I’m a sucker for description. I did find myself craving an ordinary day in the life in the Manor, though–but Azrael has no trouble keeping up with one turn after another. We end the book with a seriously motivated Azrael, and plenty of intrigue to have you looking for the release date of the next book. 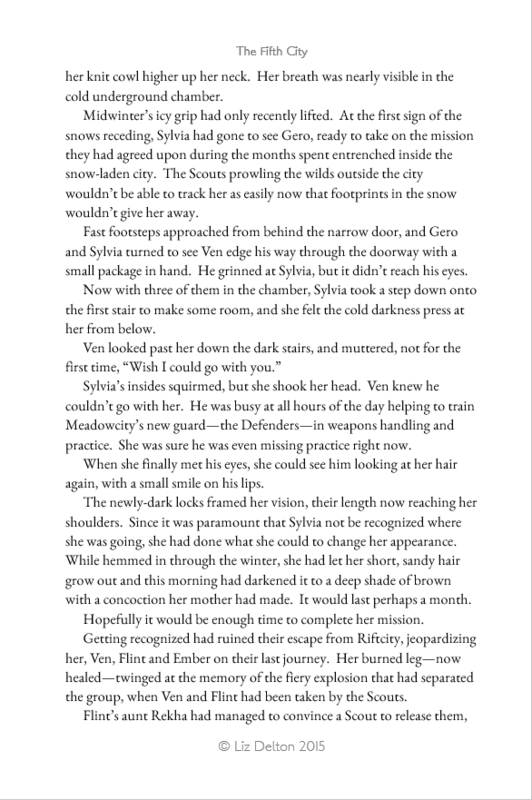 ’bout Sylvia, Ven and Neve. 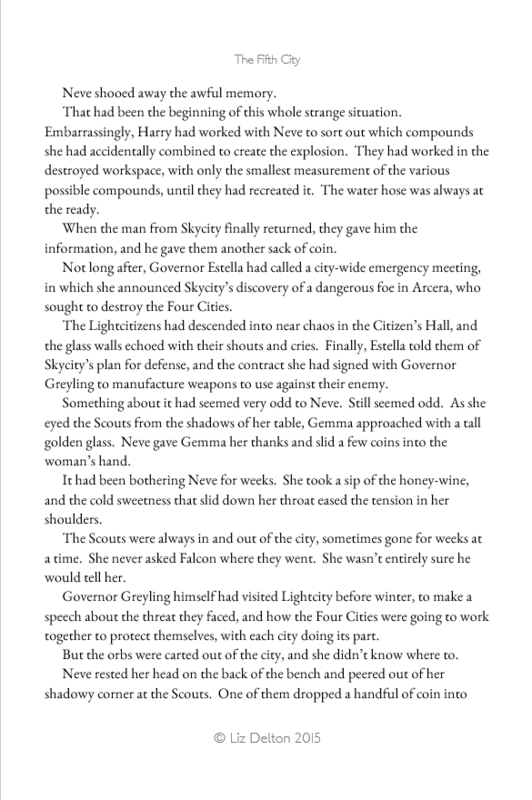 Anyway, The Fifth City will be released tomorrow, going out into the world to be read! I can’t wait. Oh, and Meadowcity is free right now. 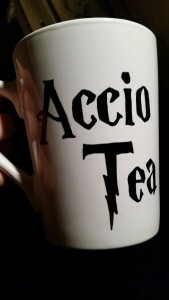 It hasn’t gone in the oven yet, because A. I don’t know what I want to put on the other side yet, and B. Not entirely sure how long to put it in for (because all the instructions differ). If it comes out good maybe I’ll do another post on the DIY breakdown. So far, so good; I got the Oil-Based Paint Markers everyone (aka “the Internet”) says to use. 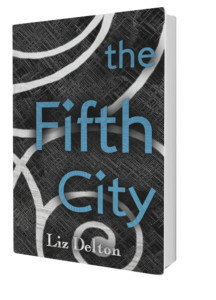 If you’re in Connecticut, come see me at the East Granby Public Library tomorrow from 6-8 for some free food, and to get your signed copy of The Fifth City! Saturday I’ll be at Hartford Public Library from 12-3 doin’ the same thing (minus the food). Three hours til launch; let’s do this! 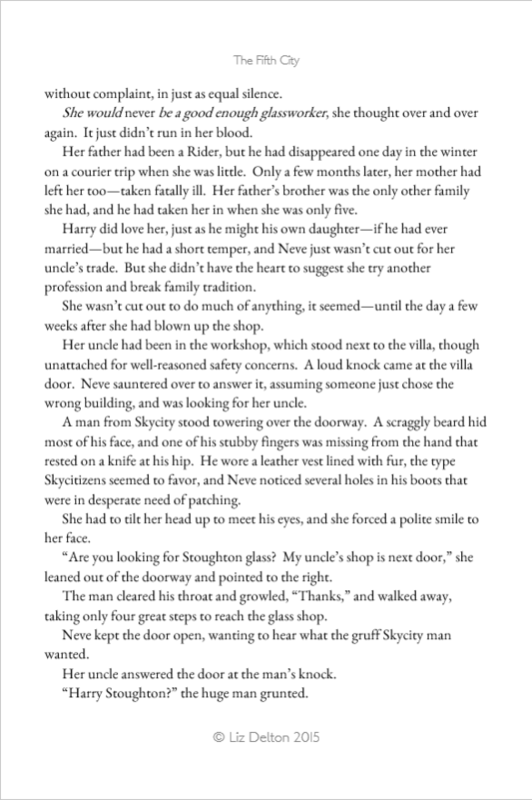 Another day, another peak into The Fifth City, which is less than a week away from release! Grab some leftovers, and devour the next advance chapter in The Fifth City (featuring a brand new character!). 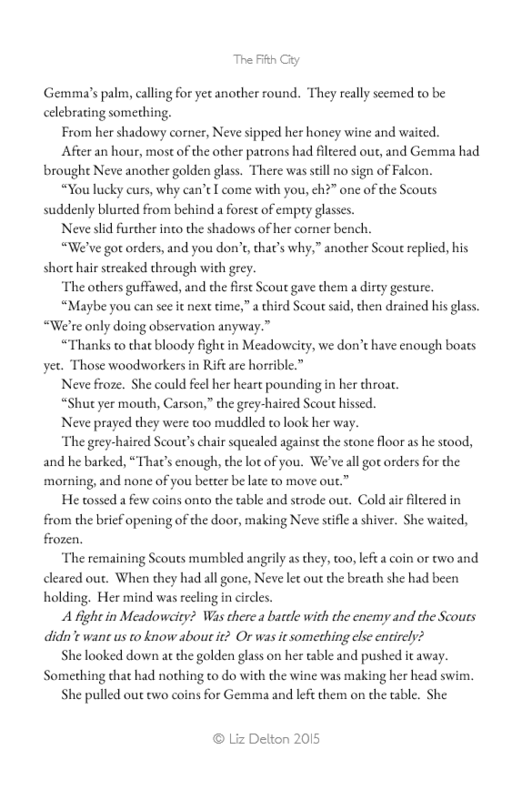 For more, you’ll have to wait until December 3rd when the book releases! 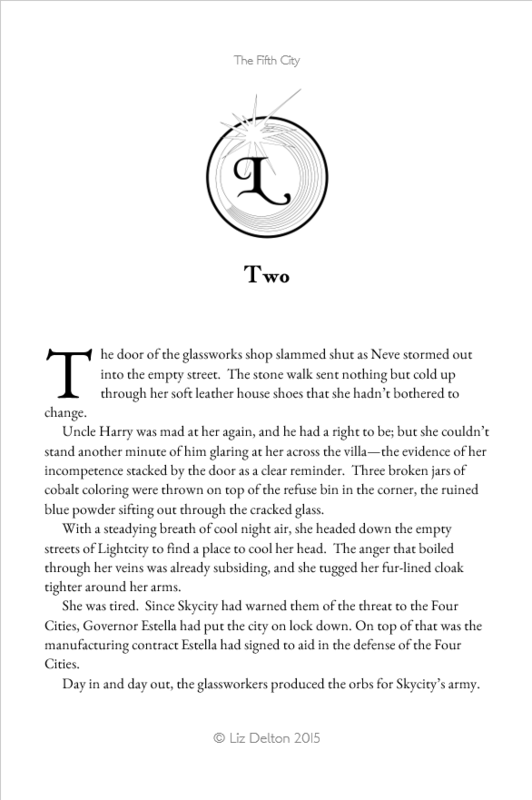 I couldn’t be more thankful today, so I wanted to thank you by giving you a first look into The Fifth City, with a peak at the first two chapters! One week from today, the book will be released! I’m thankful for my readers. I’m thankful for my beta readers and advance readers. I’m thankful for my family, who have supported me, and listened to me jabber on about book stuff incessantly. I’m thankful for my creativity, which I sometimes take for granted. 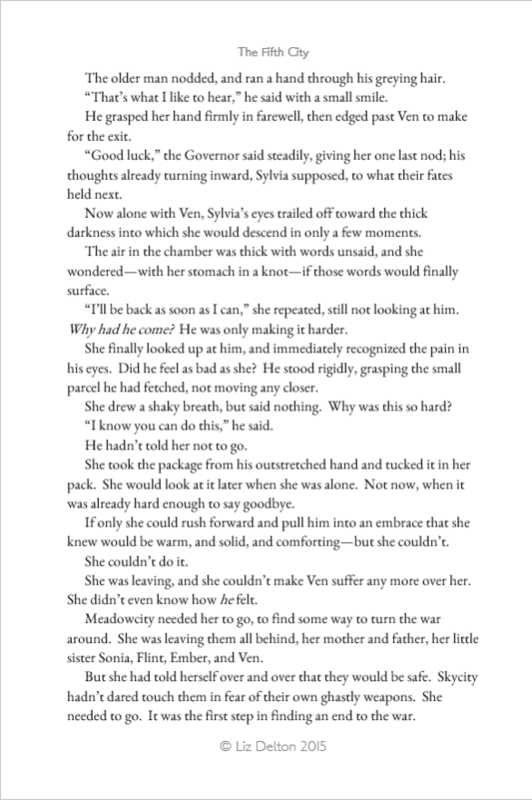 But most of all, I’m thankful for every person who has picked up Meadowcity and read it. Check back tomorrow for the next chapter! 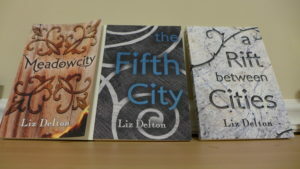 In less than two months, The Fifth City will be available! Want it in your hands earlier? You can request an ARC (Advanced Reader Copy), in exchange for an honest review on your website, or other forum. Free book for you, honest review for me. Win/win! There are a limited number available, so be sure to submit your request soon! (For added eligibility, list your website, and/or explain why you would enjoy reviewing this book). Join the Mailing List(required) Yes please! Occasional updates on events and publications, never spam. 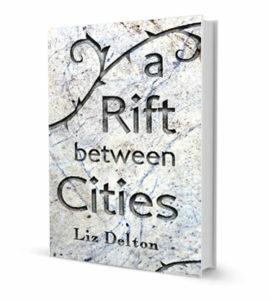 A group for readers of Liz Delton's fantasy novels for exclusive updates, teasers, cover reveals, and giveaways! Liz Delton is a participant in the Amazon Services LLC Associates Program, an affiliate advertising program designed to provide a means for sites to earn advertising fees by advertising and linking to Amazon.com. © Liz Delton. 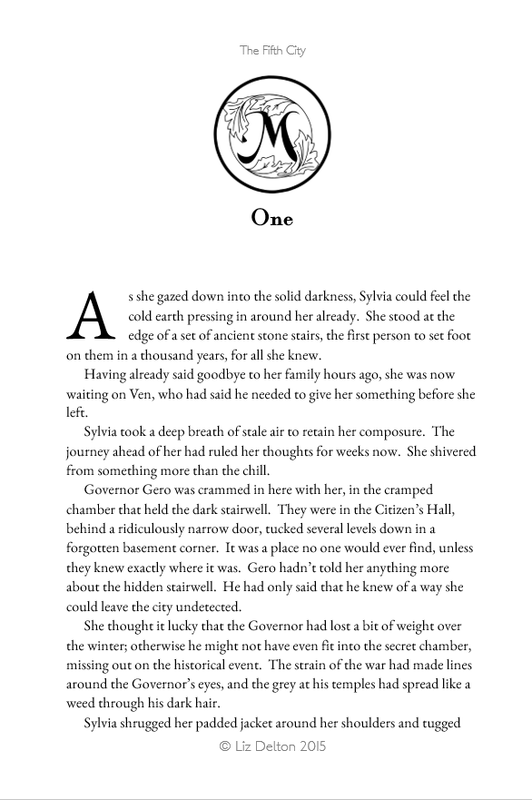 Seals for the Four Cities by Christopher Creed.